Hello everyone! It's sneaky peek time over at YNS! I hope you all are well and healthy. I was lucky enough to be the next recipient of the flu, so I have spent my days trying to recover. But I certainly didn't want you to miss out on seeing a sneak peek of one of the darling new stamp sets YNS is releasing! 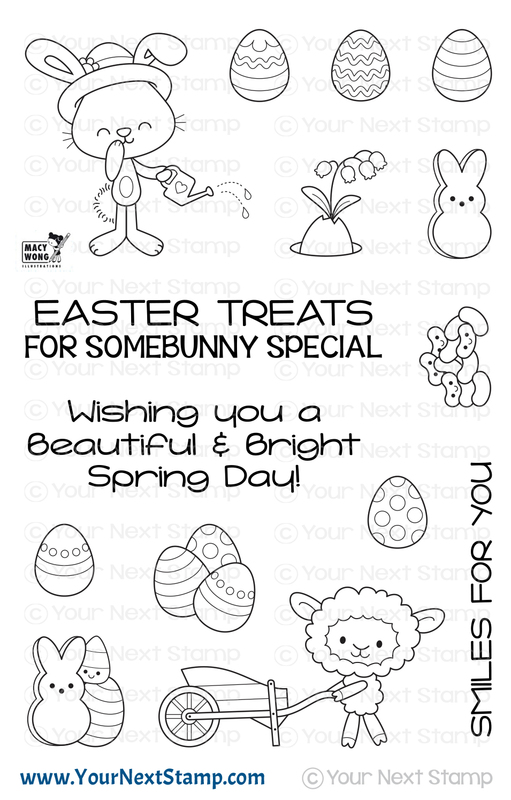 For my card, I am using the new set called Spring Treats. 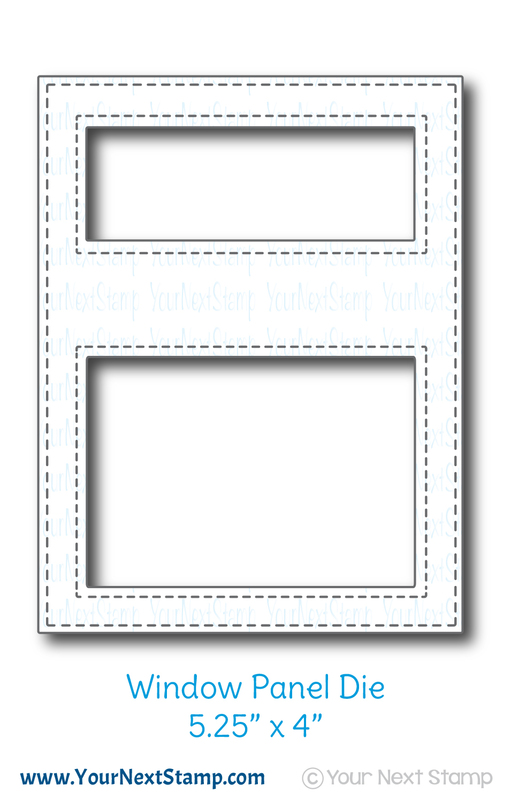 This is a perfect set to use on tags, treat giving, or just a card. 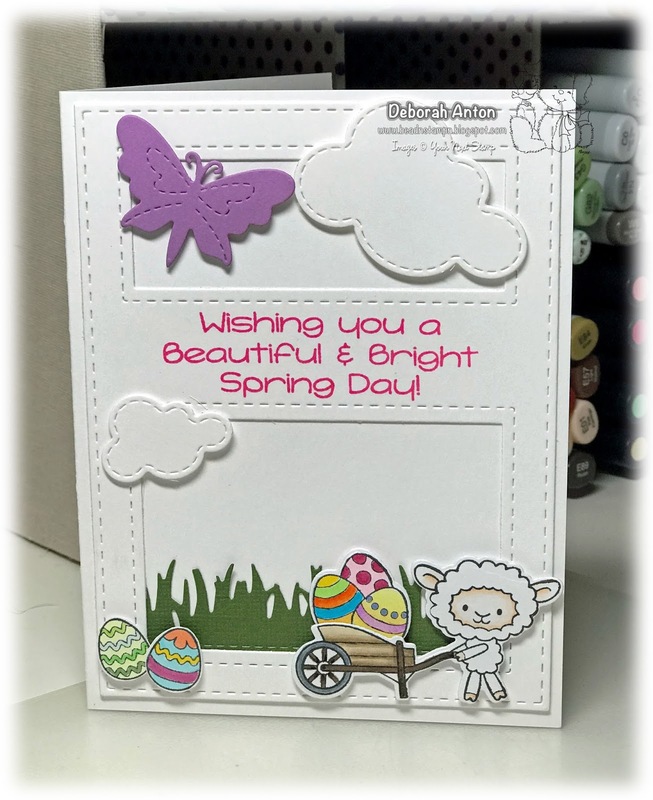 For my card, I paired the image with the new Window Panel Die to create this scene with the YNS Stitched Grass, Stitched Butterfly, and Stitched Puffy Cloud dies. The images were stamped and colored in with Copics before being popped up for dimension along the grass. The butterfly was placed at the top with the clouds and the card was finished with the sentiment across the center. Don't forget to stop by the YNS Blog to see all the sneak peeks from the DT and begin making your list. Then come back tonight for the Blog Hop and new releases! Thanks for popping in and hope you have a healthy weekend! Oh Deborah this is adorable. 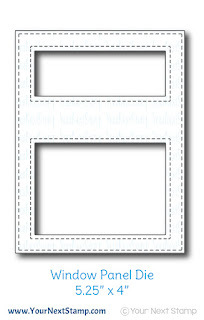 The images are simple precious and the window die is fantastic. A great card for sure. I hope you are feeling well soon, I know how you feel as I was the last recipient to get the cold that is going around here. It has been a week now and I am still not seeing much progress in getting over it. However, being as no one wants me around right now (teehee), it does give me some time to play in my craftroom...LOL So its not a total loss! I really like the cute card, also like the sentiment that I can see using. I appreciate that it is not punny, just nice! Such a sweet card, love your arrangemant! 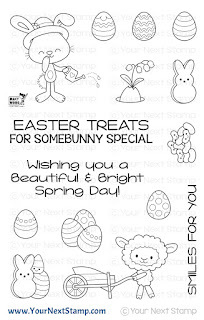 Love the window die and the adorable Easter stamps.